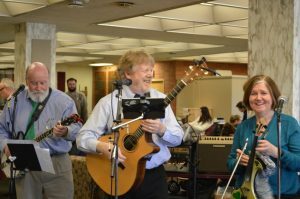 Posted for: Leigh Clark, 2016 Digital Library Intern. 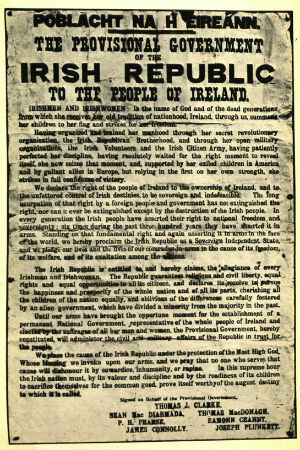 As Easter approaches, so too does the 100th anniversary of Ireland’s Easter Rising, which began on April 24th, 1916. 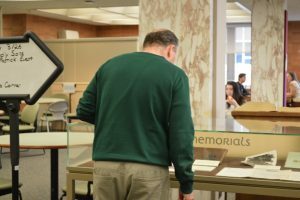 Falvey’s Special Collections commemorates the 1916 Easter Rising with a physical exhibit located on the library’s 1st floor, as well as an online exhibit: To Strike for Freedom! 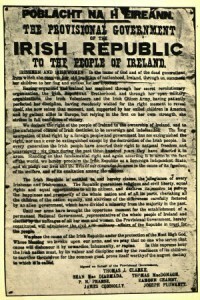 1916 Easter Rising. 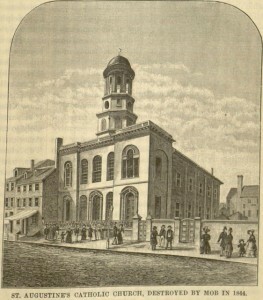 The exhibits include items from the Joseph McGarrity Collection. 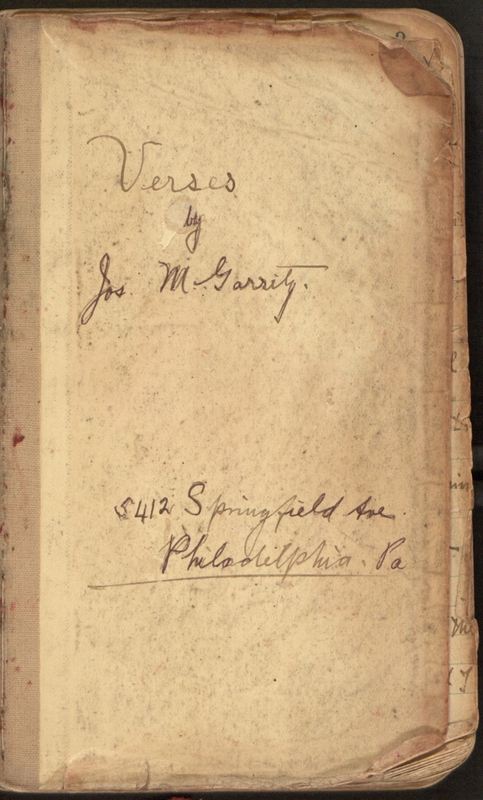 Joseph McGarrity was an Irish-American from Philadelphia, who immigrated to the United States in 1892 when he was 18. 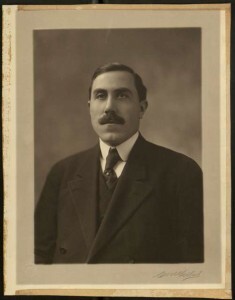 McGarrity was an active supporter of Irish independence and a leading member of the Clan-na-Gael, an Irish republican organization. 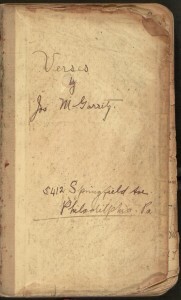 McGarrity’s belief in Irish nationalism is strongly reflected in the items of the collection, which he donated to Villanova University. 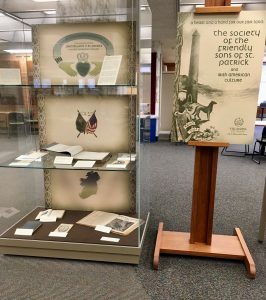 Falvey’s 1916 Easter Rising exhibit not only looks at the causes, details, and consequences of the Rising, but also reveals the important role Irish-American organizations played in supporting the Rising and Ireland’s fight for independence. 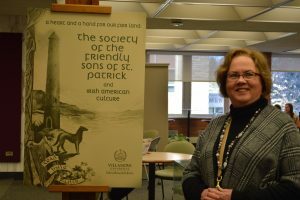 As I organized the online exhibit, I gained a deeper understanding of the important impact the Rising had on Ireland’s fight for independence. Also, I was surprised to discover the active part Irish women played in the Rising. 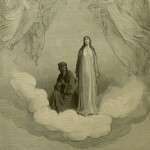 Women’s important roles as nurses, soldiers, and couriers are explored in the online exhibits section: “Undying glory of Womanhood”. Of particular interest is In Times of Peril: Leaves from the Diary of Nurse Linda Kearns from Easter week, 1916, to Mountjoy, 1921 by Linda Kearns, which has been recently digitized and can be found in Villanova’s Digital Library along with many other resources detailing the events surrounding the 1916 Easter Rising. 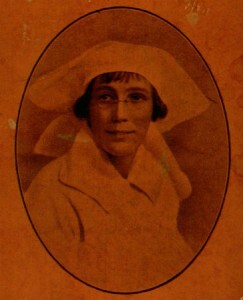 I would like to thank Anna Fitzpatrick for providing research and text for the online exhibit. I would also like thank Craig Bailey, Ph.D., Laura Bang, and Michael Foight for additional curation and editing, as well as Joanne Quinn for designing the graphics. 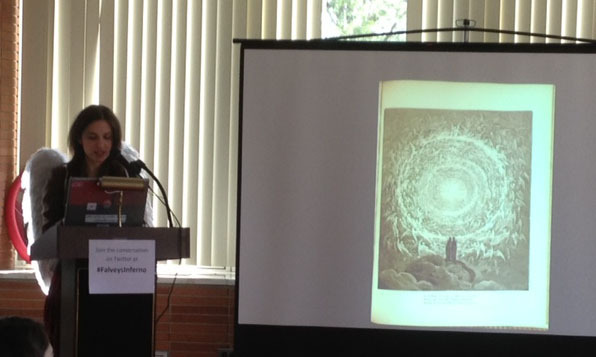 On February 12, the Digital Library Team led a journey through Hell in the form of a marathon reading of Dante’s Inferno. 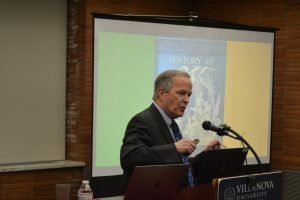 The event was supported by the Library’s Scholarly Outreach Team, and co-sponsored by the Italian Club, the Department of Romance Languages and Literatures, and the Villanova Center for Liberal Education. 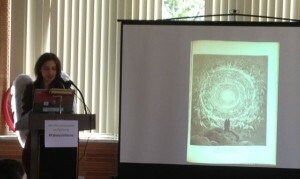 Reading began at 10am and continued through all 34 cantos to about 4pm, with cantos being read in English and Italian. Dante-related materials from a mini-exhibit. 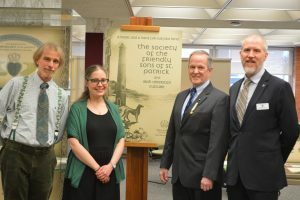 This event was originally dreamed up by Dr. Diane Biunno, an assistant professor in the Italian Department and a Digital Library Intern for Summer 2012 (Diane is currently working on a Masters of Library Science at Drexel University), and Michael Foight, Digital Library & Special Collections Coordinator. 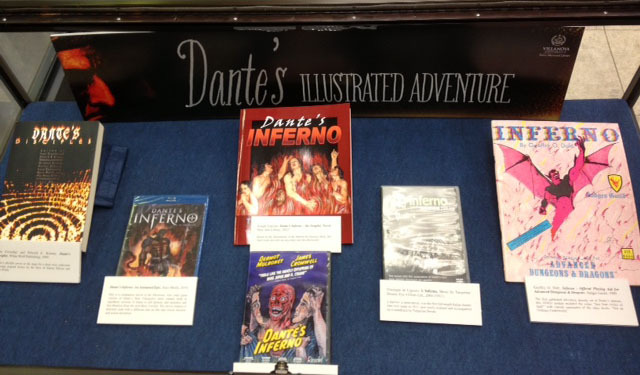 As her internship project, Diane curated the online exhibit “Dante’s Illustrated Adventure” (you can read Diane’s post about her exhibit here). The marathon reading was originally scheduled for October 30, 2012, but was canceled due to the inclement weather produced by Hurricane Sandy. 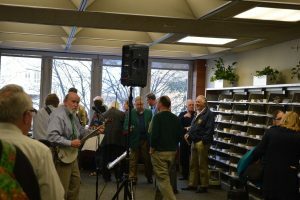 There was a lot of excitement for the event, however, so we rescheduled it for the February date. 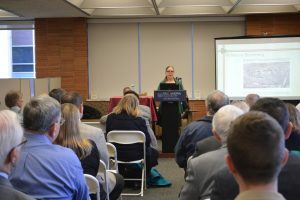 Diane Biunno, dressed as “Beatrice,” started the reading with Canto I.
Diane provided a brief welcome and began the reading in Italian shortly after 10am. Volunteers were then asked to read each subsequent canto, with a choice of reading in either Italian or English. If a canto was read in Italian, the next reader would read the same canto in English, so that everyone could follow along. The English translation that we used for the day was John Ciardi’s (which is also used for the English translations within this post). 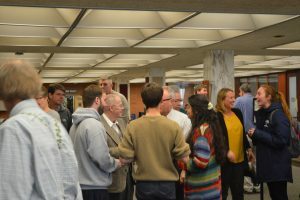 There was a good turnout throughout the day and among the readers were students from Italian classes of various levels, faculty from the Department of Romance Languages & Literatures, and several others. 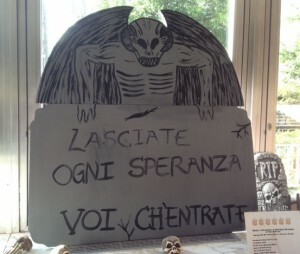 All participants had a fun time, partaking of thematic snacks along the way, and we emerged on the other side of Hell at the end of Canto XXXIV just after 4pm. E quindi uscimmo a riveder le stelle. 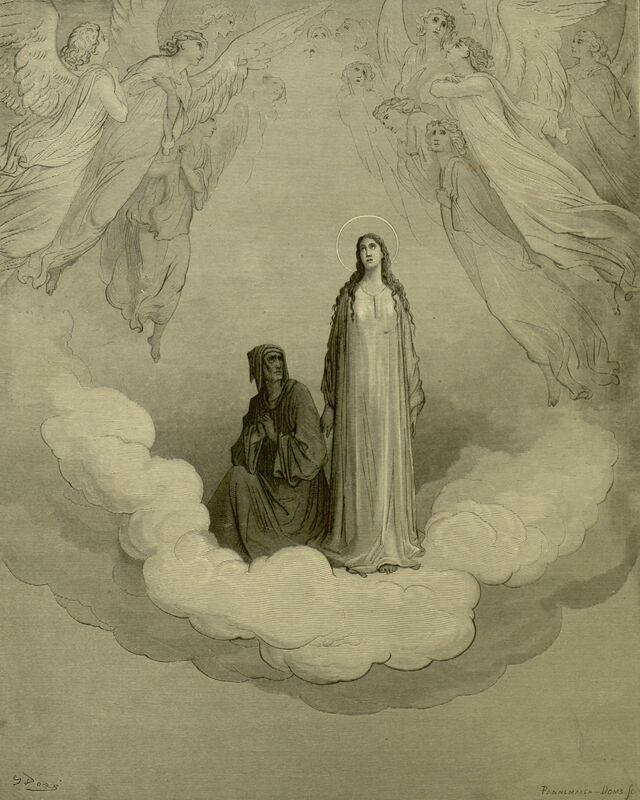 (XXXIV.139) And we walked out once more beneath the Stars. I had no doubt in my mind when I began to work on an online exhibit for Villanova’s Digital Library that the online content of the Fenian Brotherhood collection would prove full of interesting pieces of 19th century military history. Villanova’s Digital Library houses over 450 items for the American Catholic Historical Society that relate to the Fenian Brotherhood’s failed invasions of Canada. 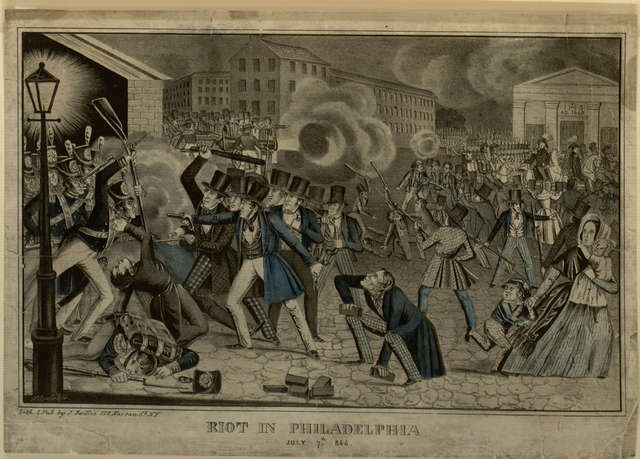 I was caught off guard by the evidence of dramatic divisions and personal quarrels that plagued the Irish American organization and so I chose to highlight those along with the Fenian Brotherhood’s efforts to defy British rule. 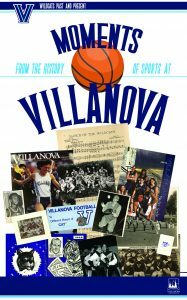 The letters and published circulars of Villanova’s Digital Library collection tell the story of several of these factions and their efforts to win authority over the membership as a whole. 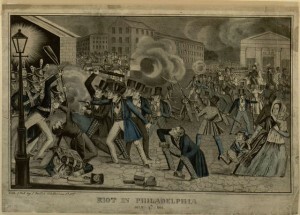 Amidst preparations for military attacks leaders accused each other of mishandling the treasury, illegally printing bonds, and even resorting to violence against a fellow Fenian Brother. 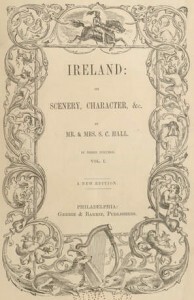 The majority of the papers highlighted in this collection and exhibit come from Fenian Senator Frank Gallagher of Buffalo, New York. Because he engaged in correspondence with members of multiple factions over a period of several years, Gallagher’s papers show the efforts of many to sway his personal opinions and allegiance. 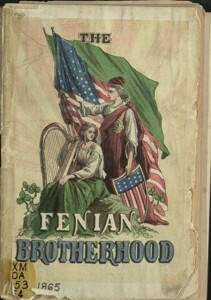 Check out the online exhibit to follow the Fenian Brotherhood through its inception, three failed invasions of Canadian soil, one murderous plot to cover up inconsistencies in their treasury, and many schisms in the membership until the organization finally discontinued itself in 1886. 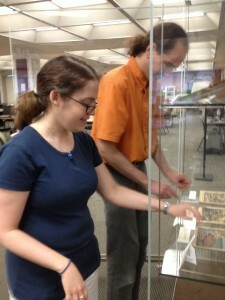 Curated by Jean Turner (Digital Library Intern Spring 2011), with graphic design by Joanne Quinn. 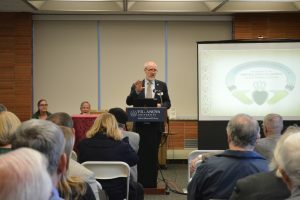 Additional and indispensable contributions to the project were made by student scanners and several transcribers including Susan Ottignon and Mimi DiLenge; David Lacy for his work on the technical details; and Laura Bang and Michael Foight for their advice and guidance. 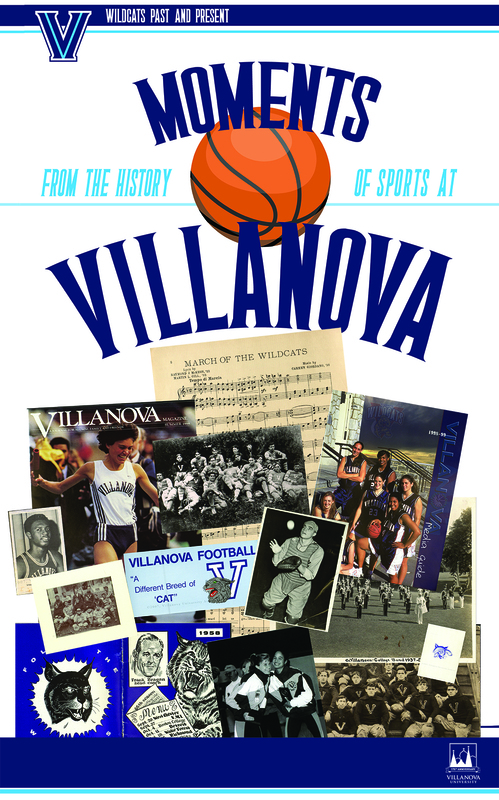 (1) Digital Library @ Villanova University. 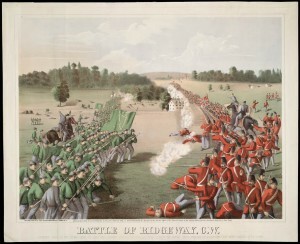 (2) Library and Archives Canada.